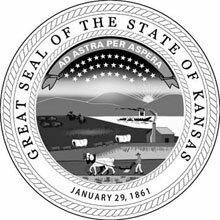 There is a need for qualified applicants in Kansas to fill game warden positions; however, competition for these jobs is fierce. The natural resource officer role is both physically and mentally challenging - officers who work at the state level may have a jurisdiction that matches the boundaries of their nearest protected wildlife area and wetlands, whereas federal employees may manage an even larger region of the state or national reserve. A game warden's job duties are extremely diverse and could include everything from providing court testimony for criminal offenses, performing search and rescue missions for persons missing in the area, tracking population data for fish, birds, and wildlife, and educating the public about wildlife conservation efforts. Game wardens love the outdoors and should have a passion for protecting our natural resources. In the face of stiff competition for available jobs, candidates are advised that waiting times can be lengthy, and relocating to accept an open position is not unheard of. Therefore it's important to understand the hiring process and qualifications. Read on to learn more about becoming a game warden in Kansas. With its unsullied plains and famous national parks, men and women who have career interests in both law enforcement and outdoor conservation have the right stuff to become of Kansas natural resource officer. Officers in Kansas are responsible for enforcing the state’s fish, wildlife, boating, and natural resource laws and regulations. Staff members also inspect and license game breeders, and regulate controlled shooting areas for safety purposes. License: A valid Kansas-issued driver’s license is required. Academic Credentials: Completion of high school or GED; Bachelor’s degree in natural resources; additional experience may be substituted for education as determined relevant by the agency. Medical evaluation: Candidates must be in good health for a physically active outdoor role in law enforcement.